This book has the most gruesome photographs I have ever seen included in a true crime book.The photographs include how the victim was found half naked,her slashed throat(2x),the carvings on her stomach,her butchered back.her skull which really gives you an idea of how much she was tortured.Really really gruesome photos! !I really have no idea how the family feels about this but I would have fought to not have pictures of my family exposed to the world like that.This book was published in 2000 and I think that the trend in true crime books is now to have a lot more respect for the victims and their story.I believe true crime writers are now really targetting normal readers who read these books for the stories and maybe explanations of how the crimes occured and ways to avoid them,the psychology behind the crimes rather than readers who are trying to satify some strange sadistic interest in voyeurism. 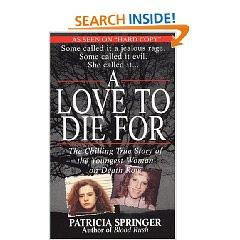 Patricia Springer is actually a very good writer.This story included excellent information and the actual crime is told in great detail with the conversations that took place between the teenagers before,during and after the crime.Being teenagers I believe that they remembered vividly how this all transpired and this information was in the court transcripts.To explain what I mean here is a piece of the conversation.Colleen Slemmer's body had gone limp after the beating and Tadaryl Shipp and Christa Pike were trying to drag her body through the mud one more time and Christa decides to stop trying to do this saying "She's all gooey.I don't want to touch her anymore".Even details after the crime where Christa Pike informs her friend Kim that she was using the piece of skull taken from the crime scene to eat breakfast.This was a really disturbing book and not for the faint hearted. Needless to say the details of the crime in this true crime book are fairly extensive and detailed.I wanted to read this book as it is essentially about the youngest woman on death row Christa Pike.I also wanted to find out how teenagers get to a point where they kill a friend.How they manage to convince others to join them.How they feel afterwards.What I should have known (and found out in this book) is that killers of this kind have no conscience.These teenagers especially Christa Pike was lost in a world of her own with no rules,compassion or respect for human life,even ultimately her own life. I read this book in April 2007 and has 8 pages of photographs(gruesome). Do you think that sentences imposed on teenagers(or people under 18) should be less severe than those imposed on adults who commit the same crimes? How awful. No I don't think the sentence should be less severe. I think that if it is in them to do something this horrendous once it is in there to be acted on again. But not all cases are black and white. 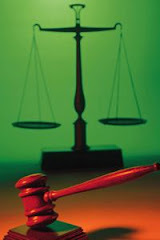 If the teen is acting under the influence of another, especially an older person, then this is another story and perhaps a less severe sentece is in order along with lots of counseling and continued observation after release. I agree that all cases need to be looked at individually but I still believe that once you have killed someone or helped to kill someone that you should be taken out of society either to a mental institution or to prison but the problem we have now is that once released there isn't a lifelong parole where these people are kept track of.They definitely do re offend in some way or another.I guess the main problem is the manpower to keep track of these offenders. I found this post to be very detail and very objective in terms of the acceptability of evident and photos now as compared ot then. Teens who kill should be tried as adults. Hope all went well with the move.Have been checking your blog a lot.Looking forward to pictures of your new house. Someone under the age of 18, shall we say a 13 year old....commits murder, they know right from wrong.....in my opinion, they should be treated like an adult and be charged the same way. The problem is a 12year old 1 month away from his 13th birthday and a 13 year old who turned 13 a month before.That's just 2 months difference in age.They both commit murder.Where do we draw the line?By the way guys,good news,I will be doing an interview with an author soon and we get to ask questions on the Caysee/Caylee Anthony case.Please get your questions ready.I will post soon and once I have all the questions then I will forward to her and she will answer them.My FIRST interview.I am so excited I am putting it off in case I mess up. So cool! I can't wait to read this interview! I know you will be great. You always ask insightful questions. No I think if someone under 18 can do something so horrific and not act as a child then they should not be punished as a child either. This girl is an evil person. i was incarcerated with her at TPW, and was a few cells away from her for a few days. She has no remorse for what she did to this girl, she actually brags about it and laughs this evil, scary laugh when she talks about it. She has tried to kill again since being incarcerated. The sad thing about this is that so many people seem to "worship" her for this terrible crime. I hear people say aww poor Krista, the poor girl has been through so much, she needs all the love and support she can get. I for one totally disagree and think she is not even getting the punishment she deserves. How about the victims' family? They are the ones that need support and encouragment! !